View of “And in the Chapel and in the Temples,” 2019. THIS YEAR’S EDITION of Singapore Art Week (SAW) saw the country earn the celebrity trappings of an established art metropolis, with the first exhibition of Lucy Liu’s art alongside that of local artist Shubigi Rao at the National Museum of Singapore. There was also the sudden demise of Art Stage Singapore—a fair that was once the key event of Singapore’s annual visual-arts calendar and the catalyst for the development of SAW as a platform for events. The country’s art scene banded together in the aftermath. Galleries offered up exhibition spaces, and individuals opened their homes or gave legal advice to galleries, just a week before the intended opening of the fair. The Culture Story, a gallery located in a former biscuit factory, lent its space to the New York–based Marc Straus Gallery to present work by Hermann Nitsch, and the art charity Art Outreach cobbled together the ARTery, a pop-up fair for a number of the affected galleries. 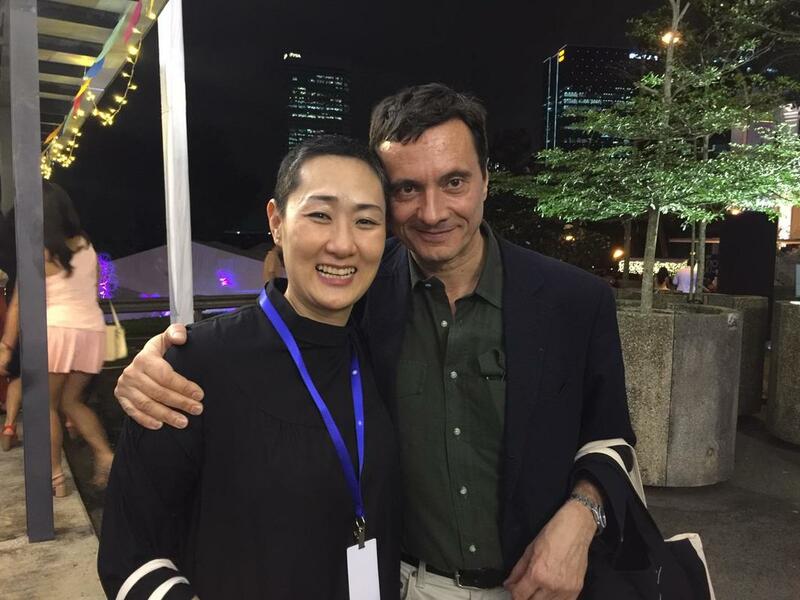 In light of the frantic flurry, one could almost say that SAW did not truly begin until Lorenzo Rudolf, the director of Art Stage, clicked “send” on a series of messages to inform partners that Art Stage Singapore was canceled. Rudolf has long complained that Singapore has a small market, but SAW 2019 bucked at the common assumption that art scenes need large fairs driven by so-called international art-world luminaries in order to earn a place in the international art market. And we saw that self-starting, ambitious local actors can make connections all on their own. STPI director Emi Eu and dealer Fabio Rossi at the opening of SEA Focus. Photo: Kathleen Ditzig. A key highlight of SAW 2019 was the inaugural S.E.A Focus, a platform developed by the Singapore Tyler Print Institute (STPI) to showcase a selection of twenty-six international and local galleries in tents at Gillman Barracks. Cryptically described as providing “an unequal competition situation” by Art Stage Singapore in its press release announcing its cancellation, the platform was a testament to the far-reaching networks of STPI’s director Emi Eu and local dealer Audrey Yeo. 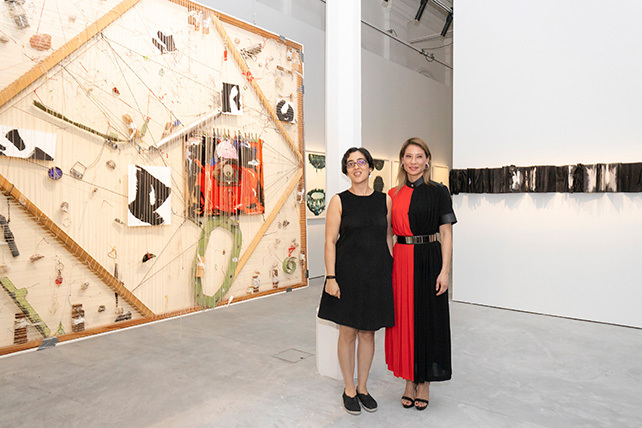 Galleries including New York’s 47 Canal and the Los Angeles–based Commonwealth and Council presented artists with ties to the region, such as Josh Kline, who is of Filipino heritage, and Carolina Caycedo, who will be an upcoming artist-in-residence at NTU CCA in Singapore. Tomio Koyama Gallery from Japan presented a particularly poignant exhibition of Shooshie Sulaiman’s work. Sulaiman’s pieces are meditations on her residency at NTU CCA, which she references in series titled for the institution’s curators. Her works also comment on the historic and social relationships between Singapore and Malaysia. For instance, His Throne Extends Over the Heaven, and the Earth. (Blood Moon Series#1), 2015, an artwork in the booth but not for sale, is painted with an underlay of Singapore soil and overlaid with Malaysian soil. Viewers were invited to spray water on the painting to efface the top layer—marked in charcoal with repetitions of the word Allah in Jawi, an Arabic script used in Southeast Asia—to reveal the base layer below. 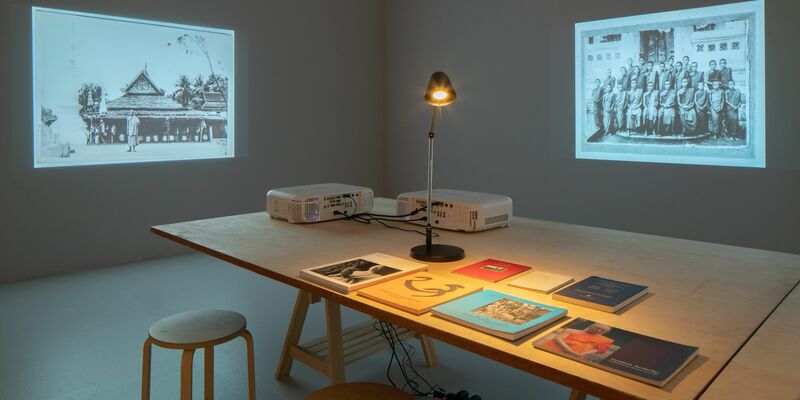 The various galleries’ considerations of the cultural contexts in which they were presenting emphasized the importance of discourse in any art ecology. Interestingly, the Singapore Tourism Board has partnered with Frieze to develop a series of conferences and curatorial symposiums, one of which was part of SAW and brought together MoMA PS1’s Ruba Katrib, Queensland Art Gallery’s Reuben Keehan, Jim Thompson Art Center’s Gridthiya Gaweewong, and Bellas Artes Projects’s Inti Guerrero, among others, for a closed-door discussion on curatorial practices today. 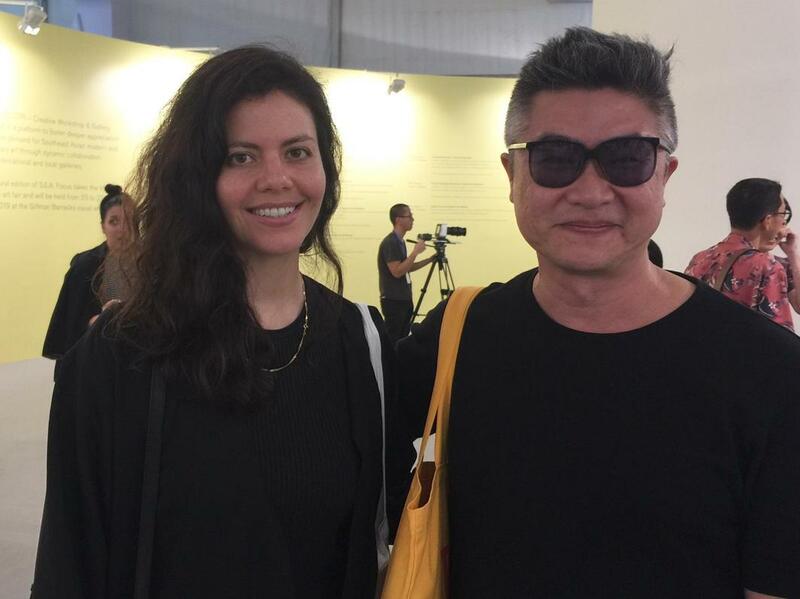 MoMA PS1 curator Ruba Katrib and artist Heman Chong at the SEA Focus opening. Photo: Kathleen Ditzig. New discourses were perhaps the definitive highlight of SAW and of the Singapore scene in general. Beyond the commercial platforms, there was Roger Nelson’s thoughtful exhibition “And in the Chapel and in the Temples,” which brought together ongoing research projects, by the Buddhist Archive of Photography and the artists Amy Lien and Enzo Camacho. The first consists of images taken or collected by monks since 1890, and uniquely charts the development of modern photography in Luang Prabang, Laos (a country that is often wrongly assumed to have developed modern art last in Southeast Asia). Lien and Camacho’s research centers on the Filipino American artist Alfonso Ossorio’s 1950 mural Angry Christ—painted in a chapel on a sugar plantation owned by Ossorio’s family—and takes the form of a mural with text and graphic markings. Nelson’s exhibition shined a long overdue light on the role of religion in Cold War–era modernism and raised questions about the resounding influence of such histories of spiritualism, art production, and art-historical narratives. 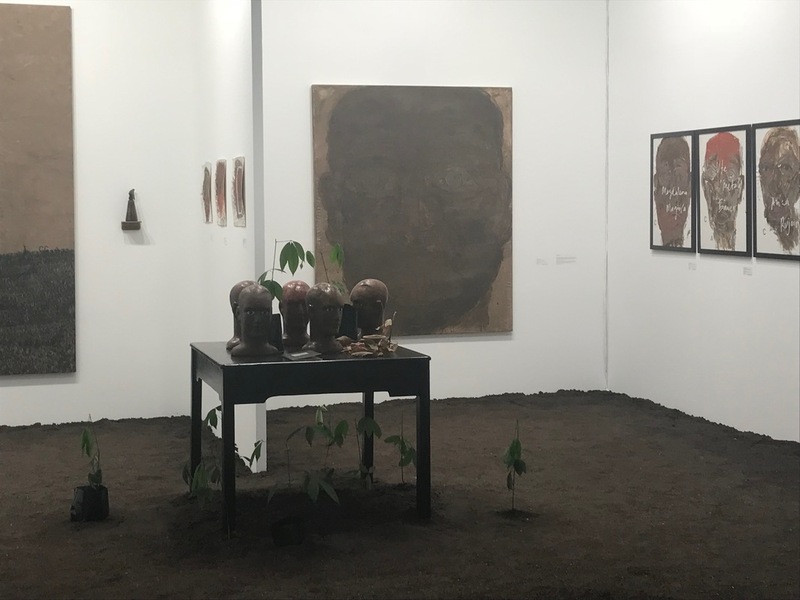 While some have earmarked the large international art fair as a defining feature of an emerging art scene, SAW 2019 suggests this might not be true. In fact, SAW 2019 may become a touchstone, calling on us to rethink how we measure an art fair in relation to an art market and, even, an arts hub. With the demise of (what was once claimed to be) the definitive fair for the region, the international community is still watching. Clearly, it takes more than an art fair to make an arts hub. Artist Shubigi Rao with Lucy Liu. Photo: National Museum of Singapore. 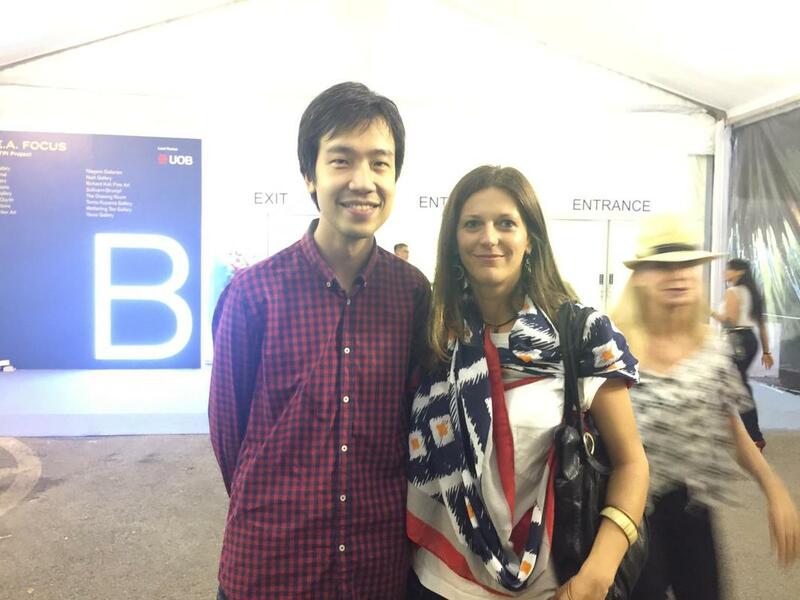 Artist Ang Song Ming and NTU CCA curator Anna Lovecchio at the entrance of SEA Focus. Tomio Koyama Gallery's presentation of Shooshie Sulaiman's work.